In the not too distant future, the systems that manage the temperature, lighting, and power in buildings will have more in common with smartphones than they do with traditional building automation systems. Modern buildings are already using a variety of technologies to manage heating and cooling, water consumption, and more. This transition to a more advanced approach to building management systems (BMS) represents more than just a technological shift. The change represents a business model shift that mirrors the way smartphone technologies are developed by third-party providers and then adopted by mobile phone makers. That model shows how open, universally-connected systems are becoming the future of BMS Systems and the Internet of Things (IoT). Legacy BMS systems are provided by companies stuck in legacy business models, explains Jim Sinopoli, managing principal of Smart Buildings LLC, in an article featured in Automated Buildings. These companies provide BMS as part of building automation system controllers. These controllers require service, parts, and eventually, replacement. As a result, this business model revolves around generating revenue from hardware maintenance. The incremental changes that BMS companies have made don’t go far enough, Sinopoli says. The future of BMS is in IT, but BMS manufacturers are not IT companies. Modern management systems employ a server with a database, have an IP address, use software applications, and are connected to an IT network. These systems are becoming more complex because buildings themselves have become more complex, Sinopoli explains. Some modern buildings incorporate systems that harvest rainwater. Other buildings have sun tracking systems to help manage light and temperature. All of these systems are making building management part of the IoT. 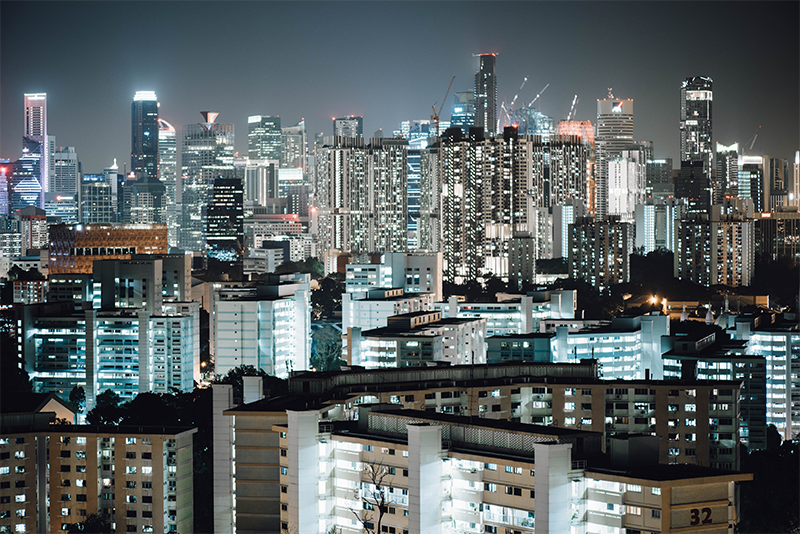 Research firm ABI Research projects that more than 8 million building management systems will incorporate some form of IoT platform, application, or service by 2020. These systems will use sensors and actuators throughout the building that will enable the technologies to optimize building management based on changing factors, such as the structure’s occupancy, depending on the time of day. These features require technology that manages their function, and that’s where the smartphone comparison comes into play. The future building management system will require both hardware and software to operate and optimize the new technology. These systems will develop in the same way that smartphones and tablets have developed, Sinopoli says. The base operating system for building management will consolidate the data from the different systems in the building and make that data accessible. But, just as the operating systems of Apple and Google provide the foundations for third-party software developers to run on, so too will new software applications be developed to run on top of the building management system. “Apart from hardware sales, it is applications and services that will drive much of the value from the IoT-integrated BMSs of the future,” says Dan Shey, practice director at ABI research. IoT technologies will allow building management technology to evolve from operating as unconnected systems. Instead, these systems will operate as a part of a broader and smarter network. These buildings are incorporating lighting systems and HVAC equipment that connect to the Internet, The Air Conditioning, Heating and Refrigeration NEWS explains. These connected systems collect and share data, then analyze the data in order to optimize various operations of a building. Makers of these building management systems must permit third-party applications to run on their equipment. And as a result, building managers should benefit from this new business model. With an open system, third-party software developers will create a software marketplace, Sinopoli says. This marketplace will introduce an element of competition that should provide managers choices in software and price that give them new options for building management.